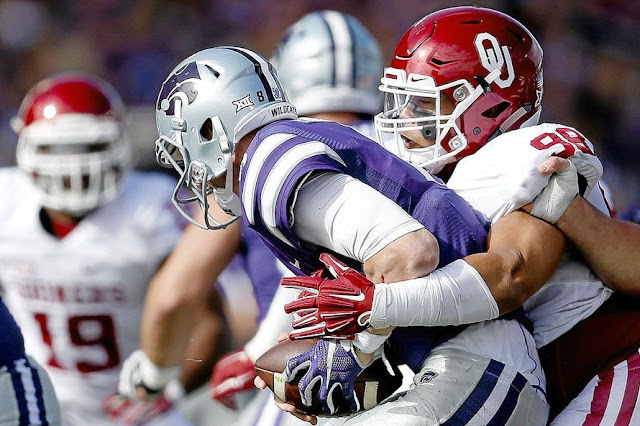 Oklahoma sophomore defensive tackle Marquise Overton underwent surgery on his left ankle on Tuesday and will miss the rest of the season, Sooners coach Bob Stoops announced Tuesday. Overton was injured in Saturday’s win over Louisiana-Monroe and was seen walking off the field just before the game ended without a shoe or sock on his left foot. (The Oklahoman) Note: Overton is eligible for a medical redshirt.